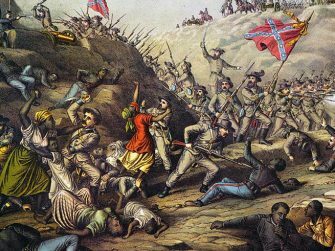 On April 12, 1864, Confederate troops massacred over 500 surrendering Union soldiers at the Battle of Fort Pillow in Tennessee. 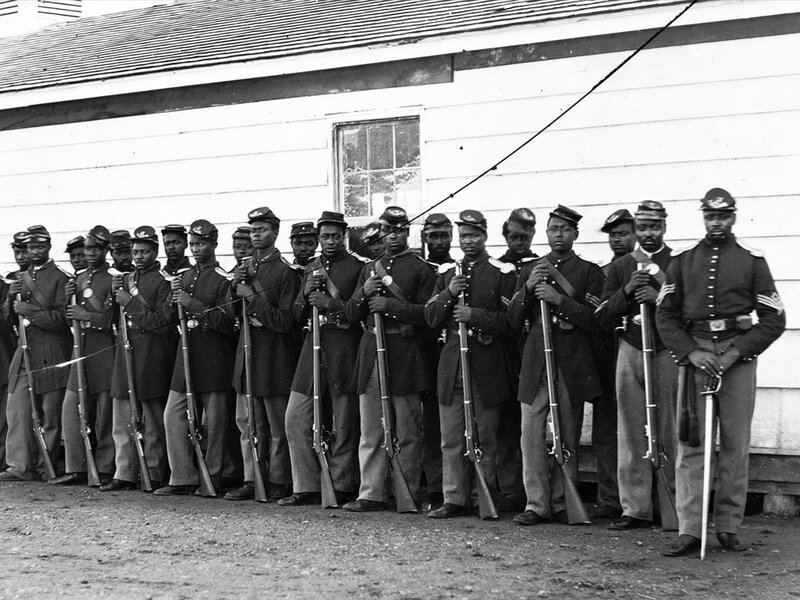 The majority of Union troops killed were Black soldiers serving in the USCT. They were stationed with white troops at Fort Pillow under Major Lionel F. Booth, who was also killed in the fighting. The Confederate General Nathan Bedford Forrest — also infamous for being the rumored first grand wizard of the early Klu Klux Klan — recorded the atrocity in a report. He described the Union soldiers attempting to surrender and how his men slaughtered them. News of the massacre traveled throughout the North and South. “Remember Fort Pillow!” becomes a rallying cry for USCT soldiers, and the atrocity was used as propaganda by both sides of the Civil War. Soon after the massacre, Elizabeth Booth, Major Booth’s widow and a white woman, became an advocate for the widows and orphans of African American men killed at Fort Pillow. 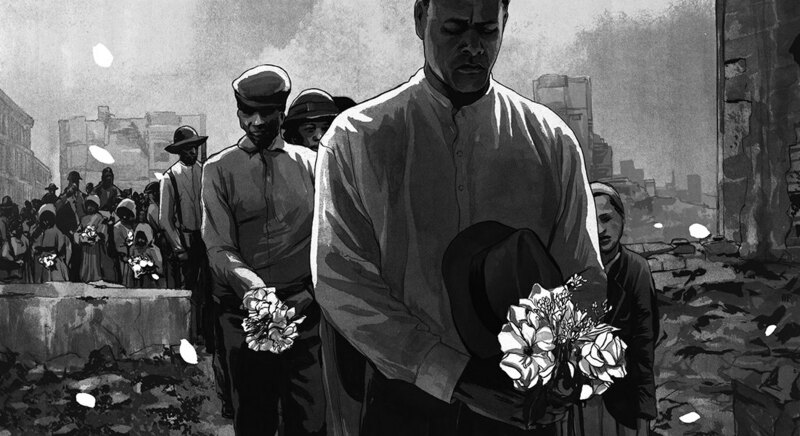 That spring, Booth pressured President Lincoln to support laws that would guarantee African American widows the same benefits and pensions that white widows received from the government. Legislation to that effect passed months later, in July 1864. Read Lincoln’s May 1864 letter to Sen. Charles Sumner about pensions for African American widows after his visit with Booth. 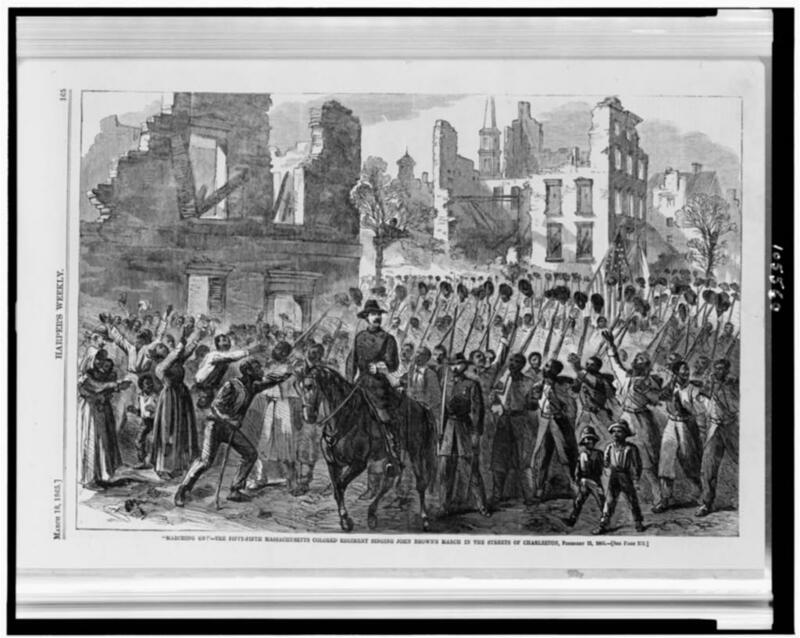 Read about the experiences of Black soldiers, the increased dangers they faced, and the events of the Fort Pillow Massacre at the Lehrman Institute’s Mr. Lincoln & Freedom Civil War resource. See also a letter by a Confederate soldier at Fort Pillow (contains graphic descriptions of the massacre). Article. By David W. Blight. 2011. The people’s history of Memorial Day. The U.S. War Department authorized the governor of Massachusetts to recruit Black troops to the Union Army in the Civil War. The Union Army moved into Charleston, S.C., the the city where the Civil War had begun four years earlier. Learn about the people’s history of Decoration Day (Memorial Day).